The quaint and captivating towns of Mismaloya and Boca de Tomatlán can be found on the highway leading south from Puerto Vallarta. Steeped in charm and history, these communities are also gateways to some of the most beautiful beaches and coves on Banderas Bay. While Mismaloya basks in the beauty and historical significance of its Hollywood years, made famous as the set for John Huston’s movie, The Night of the Iguana starring Richard Burton, Deborah Kerr and Ava Gardner, Boca de Tomatlán is a quaint fishing village where you can take water taxis to the various beach towns along the southern coast. These communities are ideal for retired couples, vacation homes and investments boasting a mix of luxury villas and traditional style housing. Here you are immersed in the tropical beauty of Puerto Vallarta’s south shore surrounded by jungle and flanked by amazing ocean views. 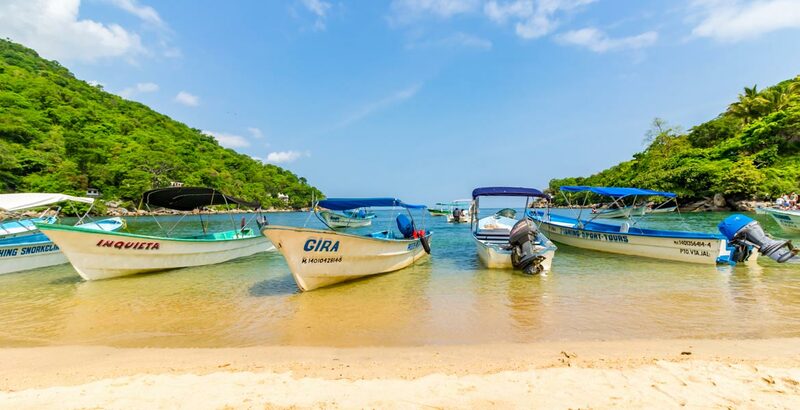 The Vallarta Botanical Gardens, zip line adventure parks and the film set for the Night of the Iguana can also be found here as well as water taxis and boat charters to secluded beaches further down the coast. Enjoy an exclusive lifestyle shrouded by nature’s blessings. Here those who love fishing and watersports will benefit from close access to the sea and Los Arcos marine park. The local communities in both of these neighborhoods are particularly close knit with a significant number of expats too. View and water-front properties are extremely well priced in these areas in comparison to ‘closer-in’ South Shore offerings. This is mostly because of slightly longer drive to ‘town’. Many feel that the price differences are unwarranted.